This collection of paintings was inspired by my love of fashion and couture gowns and of course colour. 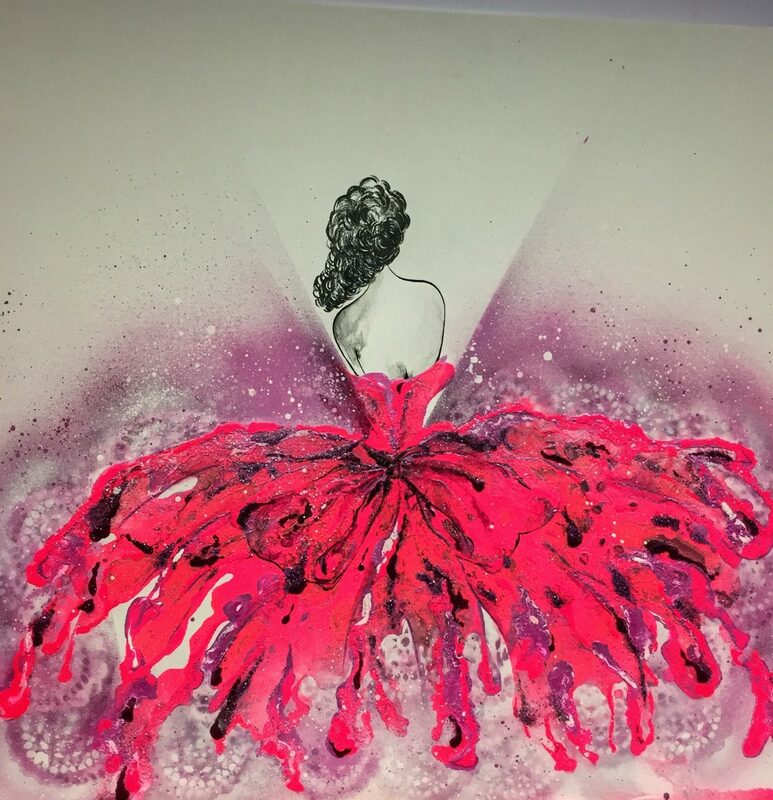 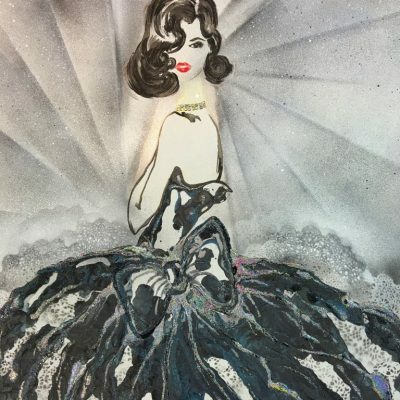 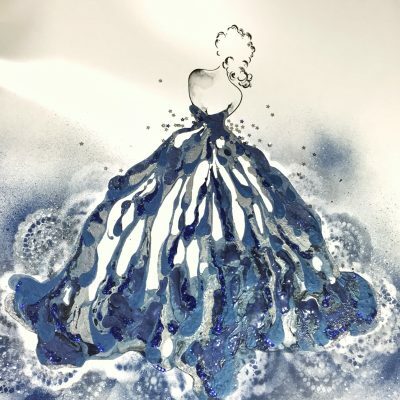 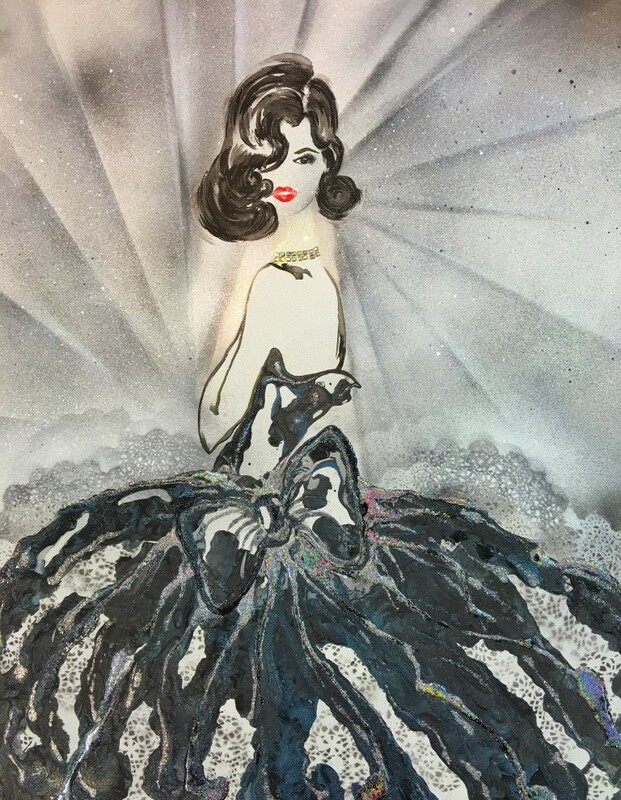 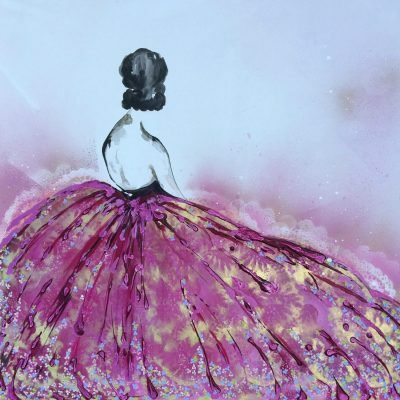 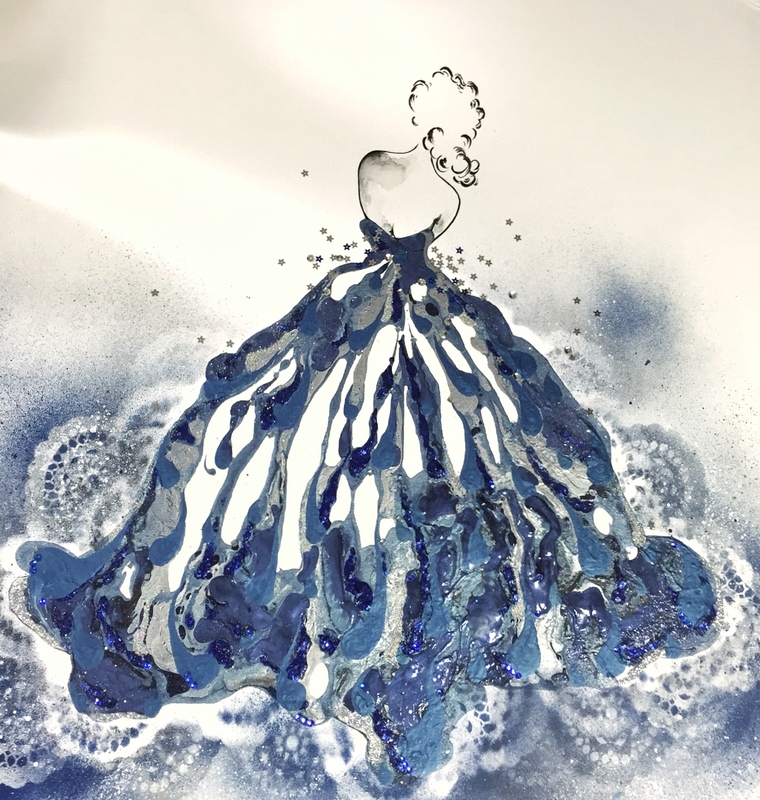 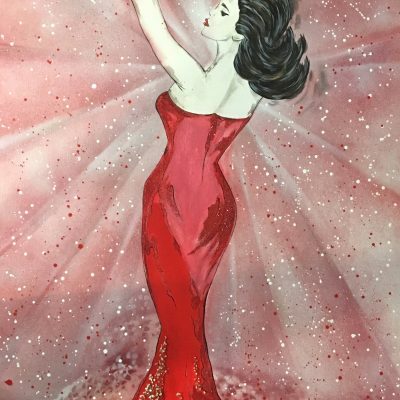 Coupled with my fluid style of painting and keeping the body form to a minimum I have put these two elements together and created gowns that flow with layers of paint, decorated with delicately painted flowers and adorn some with sequins and crystals. 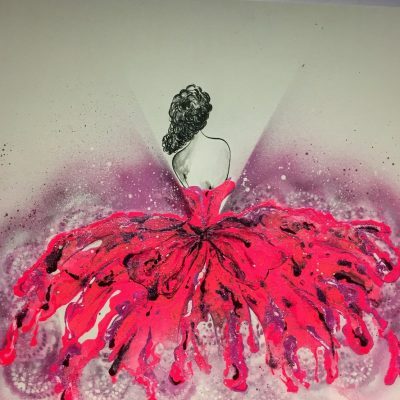 Each piece is then coated in epoxy resin bringing out the colours even more and in turn giving the gowns more dimension and depth, adding to the luxurious feel of each piece.